Chevrolet offers multiple capable truck models. From the Colorado, to the Silverado 1500, to the Silverado Heavy Duty, these trucks deliver versatile performance that make them ideal choices for the job site or your daily commute. 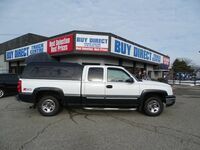 Buy Direct Truck Centre offers multiple impressive used Chevrolet Silverado 1500 models in Kelowna BC. 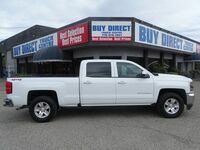 In addition to our inventory of Chevrolet models, Buy Direct Truck Centre offers an impressive selection of pre-owned trucks from different manufacturers. We offer vehicles from all of the best truck brands on the market today, including Ford, RAM and GMC. View the Buy Direct Truck Centre inventory here on our website to learn more about the vehicles we currently have to offer. Schedule a test drive to get behind the wheel of one of our truck models. Chevrolet offers an extensive lineup of versatile truck models. The lineup starts with the midsize Chevy Colorado. The Colorado is now in its second generation, delivering capable towing and hauling ratings paired with practical efficiency numbers. The flagship of the Chevy truck lineup, the Silverado 1500 has long been a leader in the full-size pickup truck segment. This truck offers multiple powerful engine options along with an impressive array of comfort, safety and technology features. The heavy duty Silverado 2500 and 3500 models are ready for any challenge. Whether you are looking to build a commercial fleet or just want a truck that offers no compromises, these Silverado models will check all the boxes. In addition to our pre-owned inventory, Buy Direct Truck Centre offers a selection of wholesale vehicles offered at bargain prices. If you are looking to get the best deal possible on your truck purchase, a wholesale model from Buy Direct Truck Centre is an excellent choice.